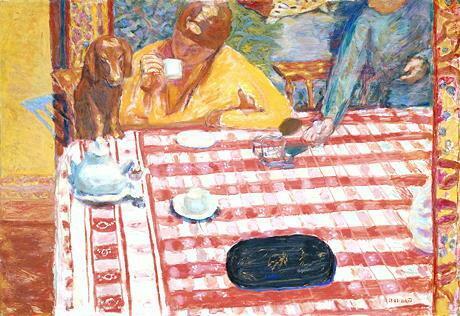 Pierre Bonnard, Coffee (Le Café), 1915. Oil paint on canvas, 730 x 1064 mm. Tate, London. Globalization brings in its part of ills, as well as advantages. Among the latter, we can easily identify the increase in top quality, easily accessible exhibitions throughout Europe and the world. In the beginning of the season, we always face the same Herculean or Sisyphean task: that of making an important selection among the plethoric offer. You will find here a few retrospectives, of different horizons, that will be opening in the coming months. Many of course are missing, but we will have time to look into them as well. What do you think of this tribute to Paolo Grassi, the great theater man (in Milan); the Chochin Japanese lanterns (in Bordeaux); precious Flemish painter Van Orley (in Brussels); or the ever present Antonello da Messina (also in Milano)? More to come. Giovanni Boldini, Gladys Deacon, 1916. Oil on canvas, Private Collection. FERRARA – He’s back home! Giovanni Boldini (1842-1931) developed the larger part of his career in Paris, where he was one of the favorites of the high society. The most beautiful women of the times, starting with his mistress countess de Rasty; princess Radziwill; Gladys Deacon, duchess of Marlborough; mademoiselle Lantelme, the mistress and then wife of press tycoon Alfred Edwards, and who drowned in the Rhine river at age 28; the most famous bankers; dandies such as Montesquiou, or simply his colleagues (Whistler) insisted on having him paint their portrait. He saw different dress habits and fashions throughout his long career, including headdresses, gauze and lames, silks and crepes. Fashion is precisely the backbone of the exhibition, in particular the one of the Belle Epoque, seen by an Italian who loved women and their attires. Degas, Proust and D’Annunzio were of course part of the group. • Boldini e la moda at Palazzo dei Diamanti, from 16 February to 2 June 2019. LAUSANNE – The Preraphaelites are a true crowd pleaser. As well as Turner is. The end of the century, with Whistler, is quite attractive but has less renown among the general public. But this itinerary across a good century of English painting will satisfy all tastes and preferences. • Peinture anglaise de Turner à Whistler, at the Fondation de l’Hermitage, from 1 February to 2 June 2019. LONDON – In 1912, Bonnard was already 45 years old. At that age, most artists have already completed their itinerary. Not he, as a mater of fact this is the point of departure of this retrospective, which intends to replicate the outstanding success of the exhibit in 1998, and its 276 000 visitors at the Tate Gallery. He still had 35 years to live and he would dedicate them to his muse, color (if we put aside Marthe, the solitary woman with whom he lived and whom he married late in life, or his passing mistresses). The former Nabi, former Impressionist, made this his primary battle, trying to equal- at a distance- his friend Matisse. Landscapes of France or Italy, nudes and intimate scenes, still lives: his brushes dripped with pigments and would strongly influence the American painters in the post-war period, Rothko, Milton Avery or Philip Guston. • Pierre Bonnard. The Colour of Memory at the Tate Modern, from 23 January to 6 May 2019. MADRID – In order to set up a large exhibition one needs international loans, to pay expensive insurance and transportation fees, and to push museums to accept partnerships or co-productions. If one misses the first phase, one can always catch up! That is the case with this exhibition of Balthus that was first shown at the Fondation Beyeler. It will then be the case for the Picasso blue and pink which just broke all attendance records at the musée d’Orsay, and which now will replace Balthus in Basel. Such a fun game of musical chairs! • Balthus at the Museo Thyssen-Bornemisza from 19 February to 26 May 2019. MONS – The “metaphysical” painter of Italy’s piazzas, of models and southern shadows is studied in this occasion as the one who inspired the wealthy Belgian Surrealists: Magritte, Delvaux or the lesser known Graverol. • De Chirico at Beaux Arts Mons, from 16 February to 2 June 2019. Giovanni Battista Moroni, Giovanni Gerolamo Grumelli, The Man in Pink, 1560, Oil on canvas 85 x 48 3/8 inches, Fondazione Museo di Palazzo Moroni, Bergamo - Lucretia Moroni Collection Photo: Mauro Magliani. NEW YORK – A native of Bergamo, he is one of the representatives of the Naturalist current in the middle of the 16th century in northern Italy. His celebrity is not in line with his talent: his most famous painting– a tailor with his scissors (National Gallery of London) – is known by the general public, but who could really say who painted it? The exhibition, the most important in its type in the USA, has been set up with the support of influential personalities from Bergamo, could not be seen without including this work of art. But this exhibition of some twenty works of art will also include men in black with a sword on their side, religious leaders and thinkers, women carefully made up, all sitting. Except for one: Pace Rivola Spini (1575), considered the first female standing portrait in Italian art. • Moroni. The Riches of Renaissance Portraiture at the Frick Collection, from 21 February to 2 June 2019. PARIS – Foujita? Japan and France, of course! The former was his native country, where he returned during the war. The latter was his adopted country, where he met success during the Roaring Twenties, fell in love and was illuminated by Catholicism (as visitors recently saw at the musée Maillol). But there is more to Foujita! The man, with his ever-present bowl haircut and his cats, also travelled far, especially to Latin America, during the forties. This exhibition, one of the events to close the “Japonismes” celebrations, aims at giving a full panorama of the artist. • Foujita at the Maison de la culture du Japon, from 16 January to 16 March 2019. Vasarely, right between the eyes! PARIS – The master of optic art is back, stronger than ever! Though looked won upon in the 80s, seen as the interpreter of an easy and repetitive form of art, is now seen as a pioneer. His success echoes on his emulators, such as Julio Le Parc and Carlos Cruz-Diez, who enjoy a long life and are still very much on demand at the age of 90 odd. • Vasarely at the Centre Pompidou, from 6 February to 6 May 2019. PARIS – Ingres, Gérôme, Dinet: how they fantasized of the Orient of their dreams with proud cavaliers, languid beauties, bright lights. The Levant would attract other later, such as Klee or Matisse, nourishing a long current of Western art – which today seems to be asleep. • L’Orient des peintres at the musée Marmottan Monet, from 7 March to 21 July 2019. PARIS – The Courtauld Institute of Art, created by a major industrialist, a discrete but extremely wealthy textile tycoon, is one of the mythical research institutions of art history. While is headquarters in London is renovated over a two-year period the collection will tour the continent (one part has already been shown at the National Gallery in London). The Fondation Vuitton will welcome it with trumpets and great clamor. It deserves it, as this rich ensemble of French painting (one of the great passions of Samuel Courtauld, dead in 1947) includes some masterpieces that we have seen at least on chocolate boxes or framed in doctors’ waiting rooms. Among them, the unavoidable Bar des Folies-Bergère by Manet or Gauguin’s Nevermore. • Collection Courtauld at the Fondation Louis Vuitton, from 20 February to 17 June 2019.